The TrueBlue Advantage is Service, Savings and Simplicity for total peace of mind. It’s also our promise to put your needs first, always. Protect yourself from potentially rising gas rates, while still getting the benefits if they go down. Plus, earn miles every time you pay your Georgia Natural Gas ® bill. Enrollment eligibility, price plan availability and actual customer service charge, deposit requirement and price per therm are subject to GNG’s credit and payment policies. See gng.com for price plans and customer service charge ranges. 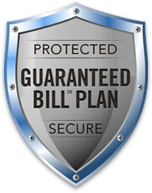 All price plans are subject to GNG’s terms and conditions of service. $0.00 price included in this offer represents the effective price after discount of GNG’s Georgia PSC published price and is available only to qualified residential customers who enroll on GNG’s 12-Month Fixed plan between 04/20/19 and 05/19/19 using applicable promotion code. Discounted price offer limited to customer’s gas consumption charges during customer’s first three monthly billing cycles following enrollment; all non-gas charges continue to apply. To remain eligible for the discount, customer must remain on the selected price plan during the applicable period and pay all charges billed by the date due, or discount may be cancelled, in which case customer will continue to be billed at the price plan rate without any discount. GNG reserves the right to terminate customer’s discount early in the event of increased monthly consumption during the discount period that results in consumption exceeding ten times customer’s normal monthly gas usage at the premises receiving gas services. After discount expiration or termination, customer will continue to be billed at the price plan rate without any discount. For credit of fixed contract exit fee (limit $150), email a copy of bill showing fixed contract exit fee from current natural gas provider to customerservice@gng.com within 90 days from the date GNG service begins. Cannot be combined with any other offer. †Source of price comparison information is the GA PSC website published fixed prices as of 04/20/2019, less, for Georgia Natural Gas applicable per therm discount.